The Vision 2030 roadmap is still in progress, and Saudi women are one of the pillars keeping it moving. We’ve seen female uproar like no other in the region, and it’s only right to continue rejoicing in it. 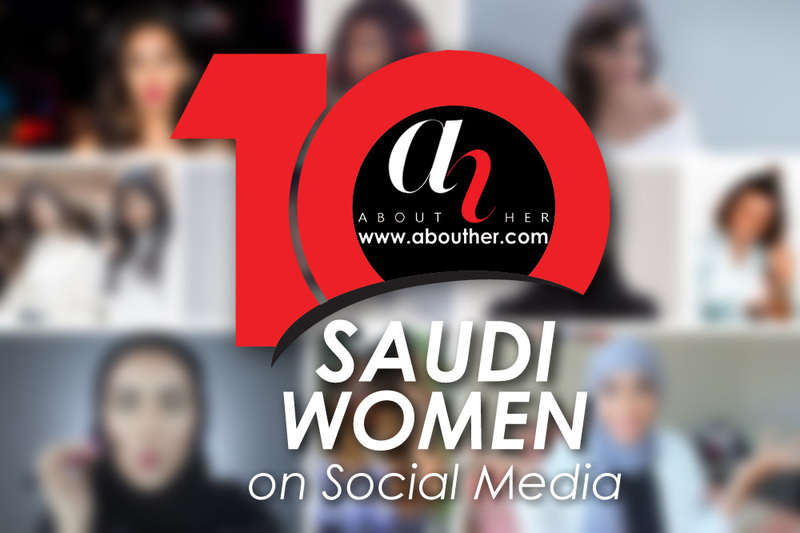 AboutHer is persistent in raising the voice regarding Saudi and regional women, and we’re getting a bit social today. Fashion, travel, beauty and everything that comes with Hala Abdallah’s glamorous life. This Saudi vlogger and Instagram influencer has life on lockdown with her charismatic and witty personality, she’ll add a touch of va va voom to your and the rest of her 2 million followers’ Insta feeds. From a Hong Kong trip to Halloween tutorials, Njoud captures it all. This Saudi social media star is exceptionally funny and will show you quirky knicks and knacks from all her travel destinations, never a dull moment with Njoud. Have you heard of the most expensive dessert in the world? Well she has tried it, and vlogged about it. Hala Al Harithy is a fashion stylist and consultant, so if you want to get on the train of the latest fashion trips and tricks make sure you check out her Instagram. Catering to modest fashion, this Saudi social media personality is always posing with her unique Abayas, giving us all the trends of the season. إستمتع بالتفاصيل الصغيرة التي تميزك، إستمتع بيومك على طريقتك ومثل ما تحب، إستمتع بكونك أنت، ولأنك لا تشبه أحد. Serving you edginess and uber cool vibes, this Saudi blogger (or shopaholic as she states in her Insta bio) gives us #ootd inspo every single day. Her perfectly arranged Instgram feed isn’t the only noteworthy thing, as she manages to sprinkle a little wisdom every now and then. Between gorgeous outfits and life quotes, Rafal is top of our social media hits. Fashion and girl power, this Saudi blogger’s style is to-die-for. Sausan manages to combine luxury brand with high street wear giving us coveted looks that are eye-catching and affordable. She fuses your typical Zara leather leggings with a Balenciaga accessory, and there you have it, your next outfit muse. لم تُخلق للبقاء، فاصنع لروحك أثرا طيباً يبقى من بعدك. Bayan is a Saudi entrepreneur and a lifestyle blogger. Other than her adorable pictures with her husband and her daily life journaling, Bayan is a savvy businesswoman who manages to balance her family and her job almost seamlessly. Showing us how Arab woman do it all, Linjawi is a must follow. Having painted the faces of high profile people like Assala and Nawal Al Kuwaitia, Yara started learning the art of makeup at the age of 16. Now with half a million followers to her name, she posts lengthy tutorials featuring colors that pop and looks suited for every occasion. Glow is her forte, and you’ll be looking just as luminous after you get on board her mini classes. This gorgeous Saudi makeup blogger is not only a beauty specialist, but also a trailblazer in her own way. Working on breaking racial boundaries, she advocates for inclusivity and works on being a role model for Arab women that look like her. Her videos range from social commentary to the latest in hype makeup products to buy, but our favorite part is her curly hair maintenance tips that follow a healthy regime of taking care of your bouncy mane without compromising its waviness. This Saudi social media star expends comedy to shed a light on fundamental disputes in the society and the Arab region. For a daily dose of humor and awareness, Darine is your social media go-to. She has turned her platform into a movement while she conversing everything from Saudi mannerisms to relationship advice – meaning you’ll have a laugh but you’ll stay woke. Bonus: here you’re getting not one but two social media personalities operating under one blog – and one family. Thana and Sakhaa Abdul are Saudi twin sisters living in London, and capturing every outfit one at a time. They are also founders of their own business, Coded Nation, a website that features curated Arab designers and collaborations. Looking for grunge and edgy? Go for Sakhaa. Looking for dashing and power-suiting, go for Thana.